Richard Seward Johnson. Image courtesy of Henry Aubrey Bullard. All rights reserved. Richard Seward Johnson, a son of Merritt H. Johnson (1814 – 1877) and Mary Ann Holland (1819 – 1894), was born about 1855. 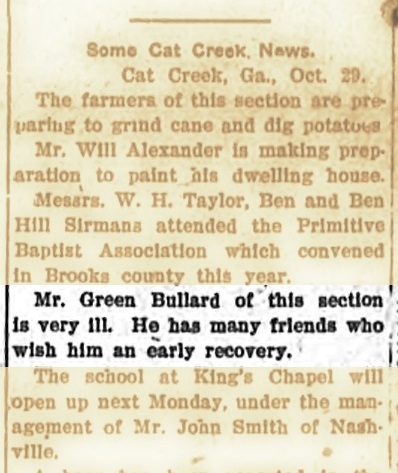 His father, Merritt H. Johnson, was a farmer of Thomas County, GA who before the Civil War had $600 in real estate and $3453 in his personal estate. 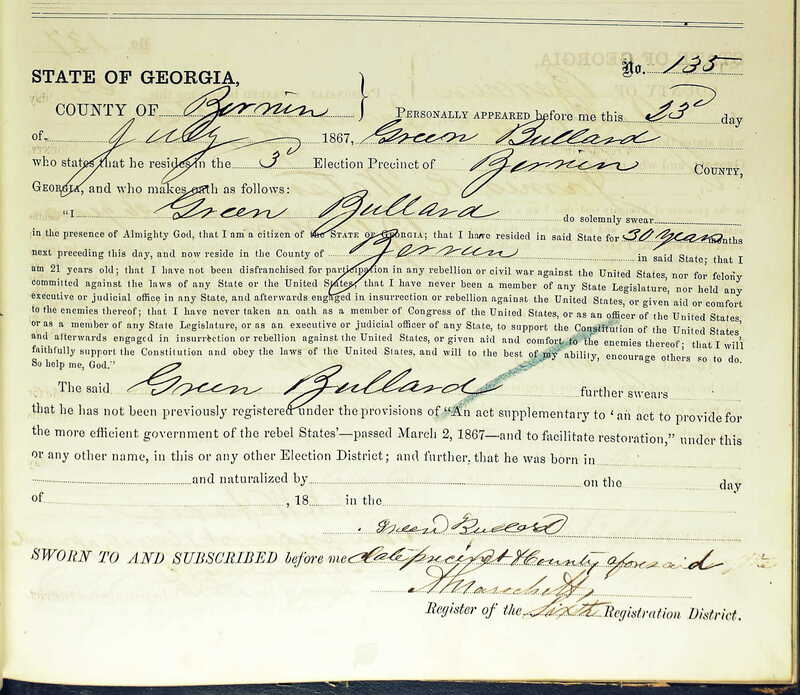 His father was not enlisted during the Civil War, instead appearing on the 1864 Census for Re-Organizing the Georgia Militia, a statewide census of all white males between the ages of 16 and 60 who were not serving at that time. 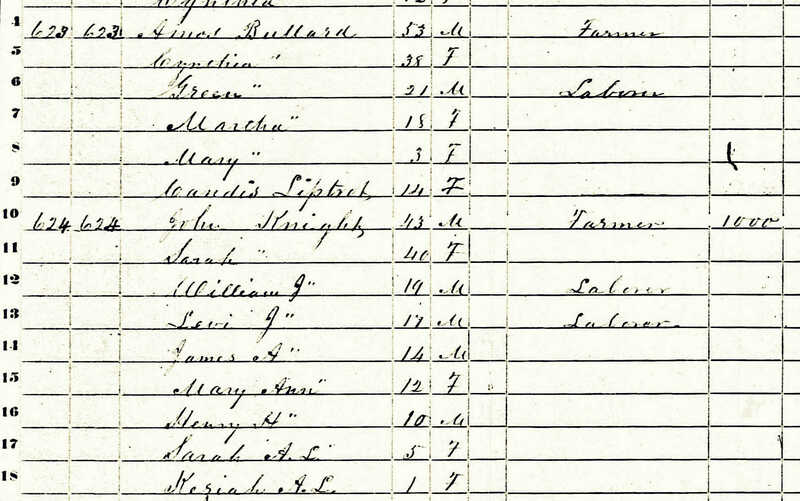 Many of the men enumerated in this census were exempt from service, and Merritt H. Johnson may have been exempted on account of his age (50). 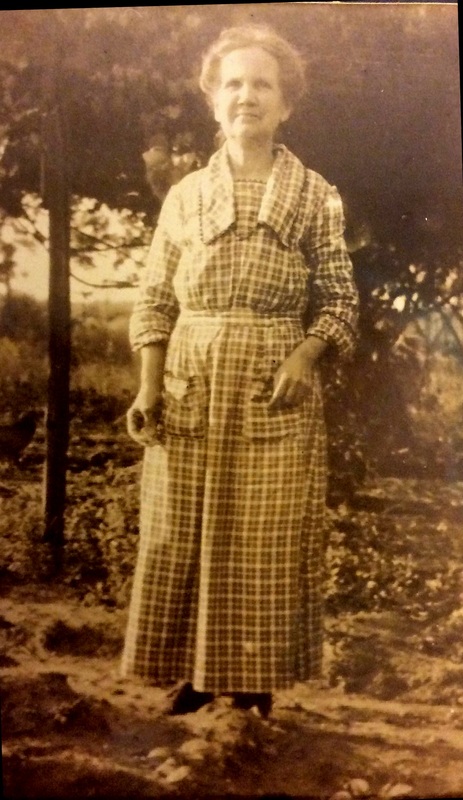 Richard Seward Johnson’s parents came from Johnston County, North Carolina to settle in Thomas County, GA some time before 1850, along with his maternal grandparents and many others of the Holland family connection. 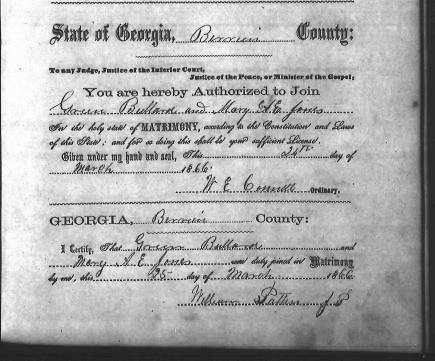 Enumerated in 1850 in Thomas County, GA and in Colquitt County in 1860, his parents were apparently residing in that portion of Thomas County which was cut into Colquitt County in 1856. Richard Seward Johnson left his parents’ household by the time he was 15, as indicated by his absence there in the Census of 1870. 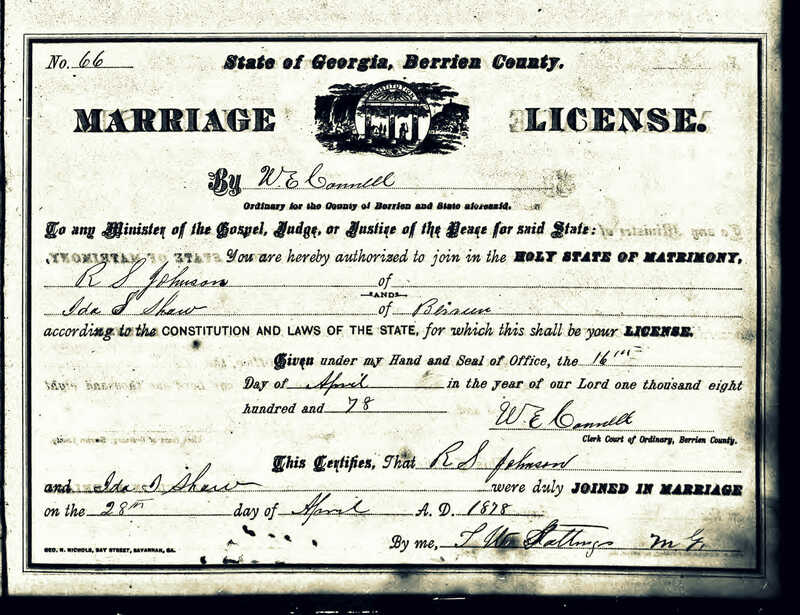 He apparently made his way to Berrien County, GA where on April 28, 1878 he married Ida Isabelle Shaw. She was a daughter of William Jasper Shaw and Elizabeth Wetherington, born on the first Christmas of the Civil War, December 25, 1861. By 1878 Richard Johnson owned 100 acres of lot 498, 10th Land District on the south side of the Ray’s Mill community, 1144 GMD. This land was valued at $300, and another 50 acres valued at $300 were in Mary Ann Johnson’s name. Together, they owned $70 in household furnishings, $259 in livestock, $70 in books and tools. Another 100 acres of Lot 498 was listed as the property of Jerry R. Johnson. 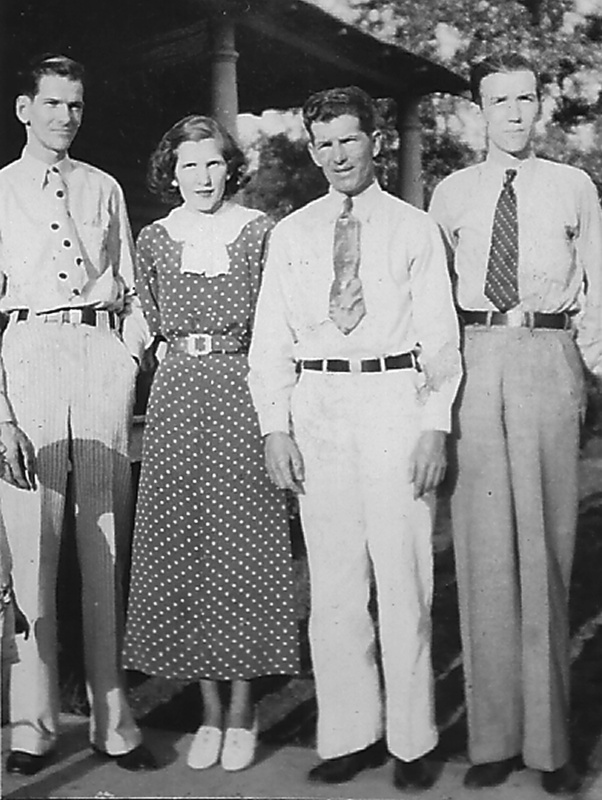 Jonathan Knight held an adjacent plantation of some 12oo acres on lots 497, 496 and 517. Other neighbors included Thomas S. Murphy on portions of lots 497 and 498, Marcus Giddens on portions of lot 497, Senator Jonathan E. Bryant on Lot 515, Green Bullard on lot 469, and James M. Baskin owned lots 470 and 471. From the 1879 tax records it appears that most of Mary’s acreage had been transferred to Richard. Mary was not listed as a property owner, whereas Richard was shown with 140 acres on Lot 498, valued at $600. 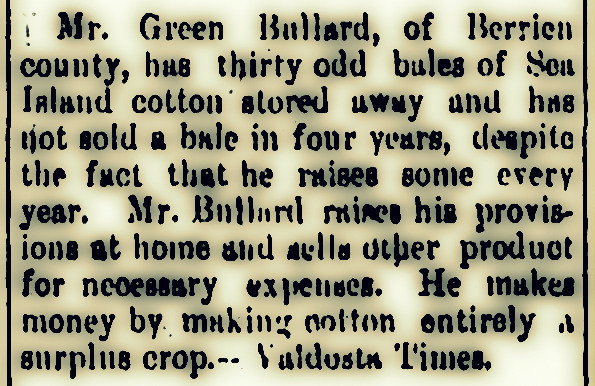 His brother, James R. Johnson had also acquired 100 acres of Lot 498. 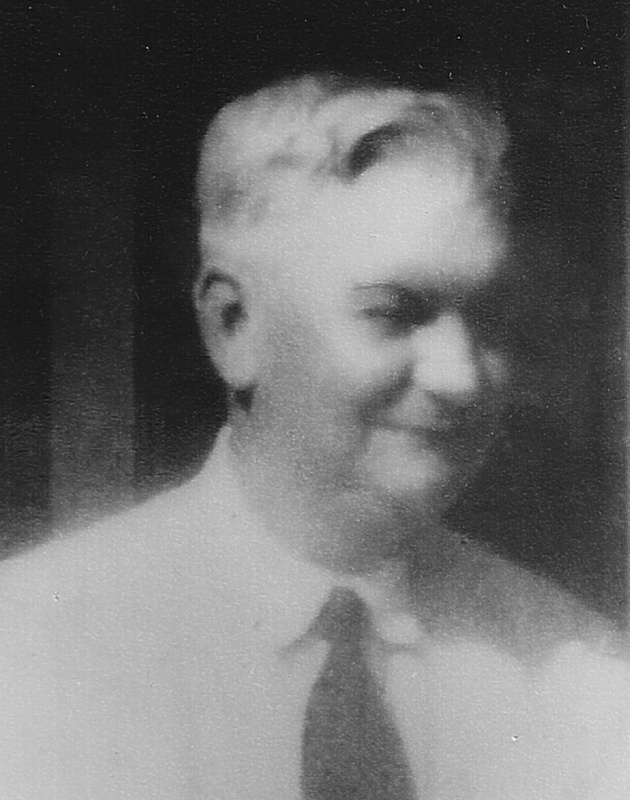 His father-in-law, William J. Shaw had acquired 310 acres on portions of Lot 499 and 514. 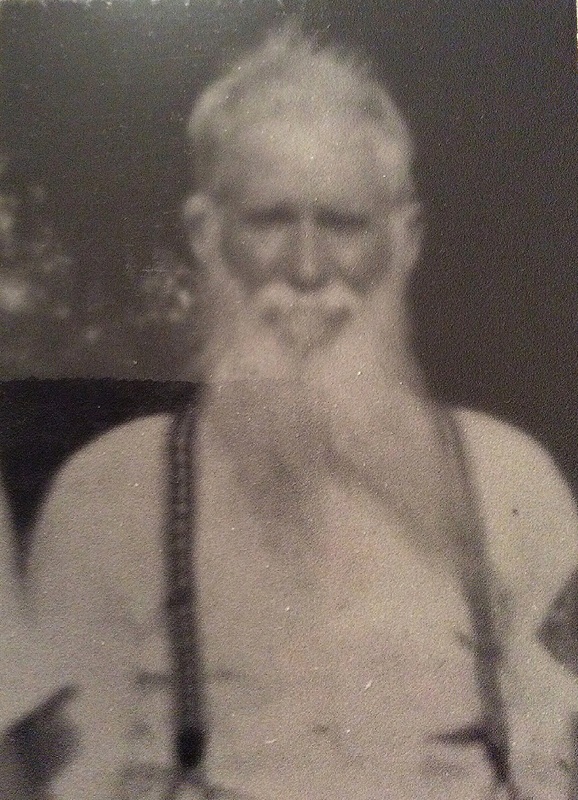 Jeremiah Shaw owned portions of Lots 499 and 500. Another 220 acres of lot 498 belonged to Thomas S. Murphy. Moses H. Giddens was on a 250 acre portion of Lot 497, James M. Baskin continued on lots 470 and 471, and Jonathan Knight maintained his extensive plantation on adjacent lots. In 1880, Richard S. Johnson had 140 and James R. Johnson 110 acres on Lot 498. Moses H. Giddens on was on parts of 497, Thomas S. Murphy on portions of 497 and 498, William J. Shaw on portions of 499 and 514, and James M. Baskin owned lots 470 and 471. 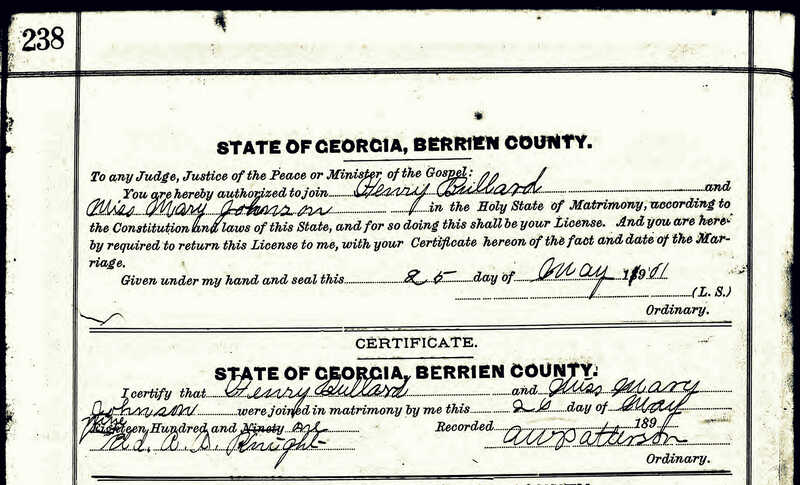 For the about the next 50 years, Richard Seward Johnson and his bride raised children and crops at Ray City, GA.
Mary Johnson (1882 – 1914 ) married Henry Needham Bullard (1878 – 1938) on May 26, 1901 in Berrien Co., GA.
Ida Isabell Shaw Johnson died January 4, 1927 at Ray City, Berrien County, GA. She was buried at Cat Creek Cemetery, Lowndes County, GA. Richard Seward Johnson died in 1936 and was buried at Cat Creek Cemetery, Lowndes County, GA.